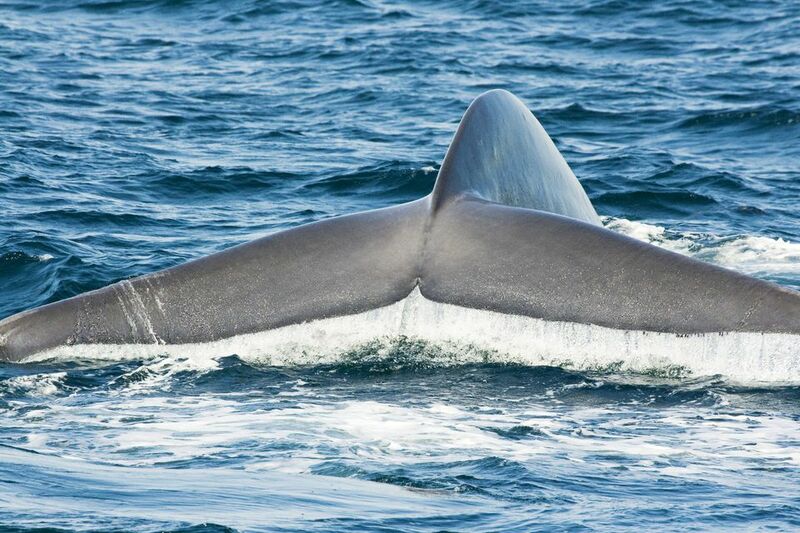 These tips will certainly increase your chances of seeing whales show off their tail—and more. To find out what all those wonderful creatures look like up close (and what they look like when you see them from a whale watching boat), check out the California whale watching guide. You'll find plenty of ways to enjoy whale watching season in San Diego. Don't end up in the wrong spot when it's time to go. Be aware that while many of them depart from the waterfront downtown, others do not. Flagship Cruises: With Birch Aquarium Naturalists on board, they guarantee a sighting, or you go again for free. Next Level Sailing: This whale watch cruise comes with a bold guarantee: Not only will they take you out again if you don't see a whale, but they're confident that you won't get seasick riding in their stable sailboat. If your day is spoiled by motion sickness, they will provide a gift certificate to a local restaurant. It's an odd compensation for making someone nauseous, but a nice gesture. They also have a slightly longer season than other whale watching companies. OEX La Jolla: You'll have to propel yourself - in a kayak - to take this tour, but organizers say it allows guests to paddle as close gray whales, seals, and sea lions as you can get without upsetting the animals. Xplore Offshore: This company uses a specially-built "ocean raft" that's closer to the water and goes faster than the bigger whale-watching boats - so you can go further from shore. One look at their videos and you may be hooked. Hornblower San Diego: With naturalists from the Natural History Museum and stabilized boats that minimize seasickness, this is one of the most comfortable whale watching options. San Diego Natural History Museum: They offer the longest whale watching cruise from San Diego, a six-hour expedition that goes south to the Coronado Islands Marine Sanctuary. If you're looking for a whale watching discount, you may find one using online services like Groupon. But beware sacrificing quality to save a few dollars. ​Many whale-watchers who complain in their online reviews are unhappy about hidden costs and poor quality. In general, the poorer the quality of the trip, the more likely you are to find it sold for a discount. If you'd rather not go out in a bobbing boat to see the whales, you can also see them from the shoreline. A couple of the best whale watching spots for landlubbers: In La Jolla, try Scripps Park just above La Jolla Cove, the Birch Aquarium, and Torrey Pines State Reserve. Other great spots to watch the migration are the heights around Whale Overlook and Old Point Loma Lighthouse at Cabrillo National Monument. The whales are easiest to see from from shore between mid-December and mid-February during the northward migration when they swim closer to the shore. Other times of the year, they are usually too far from the shore to see, even with binoculars in hand. No matter where you watch the whales, the basics are the same. Get tips for picking the best company and ways to have the most enjoyable experience in the California whale watching guide.